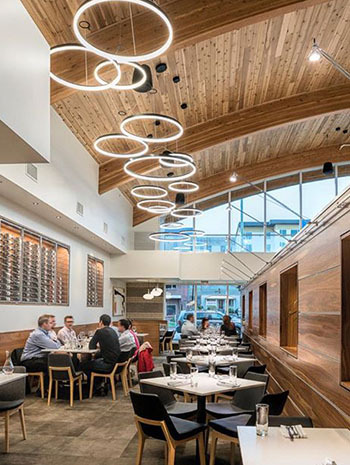 With Salt Lake City’s large Greek community, there’s plenty of Grecian cuisine across the Wasatch Front. 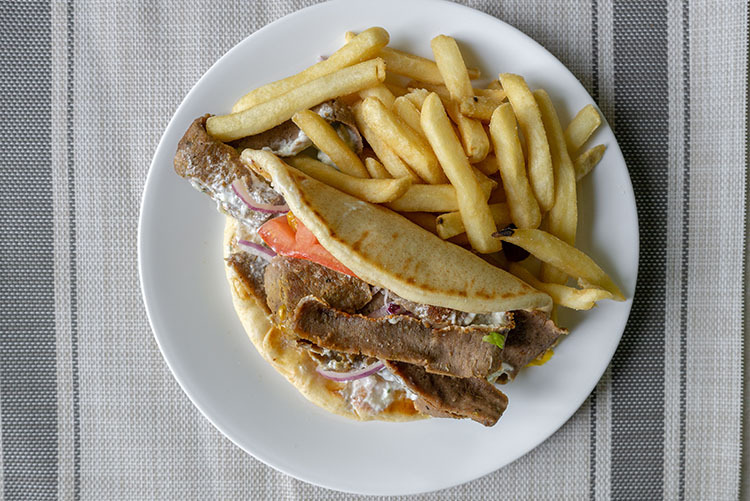 Souvlaki, dolmathes, spanakopita and yes – lots and lots of delicious gyro. All gyros aren’t created equal in the eyes of Zeus though, every location crafts theirs every so slightly differently. After years chowing down on more meaty wraps than is sensible, this is our list of the best in SLC. This choice is maybe controversial, but Yanni’s is my favorite gyro in SLC. Why? First of all, there’s the choice of red or white sauce – and you can even order both. 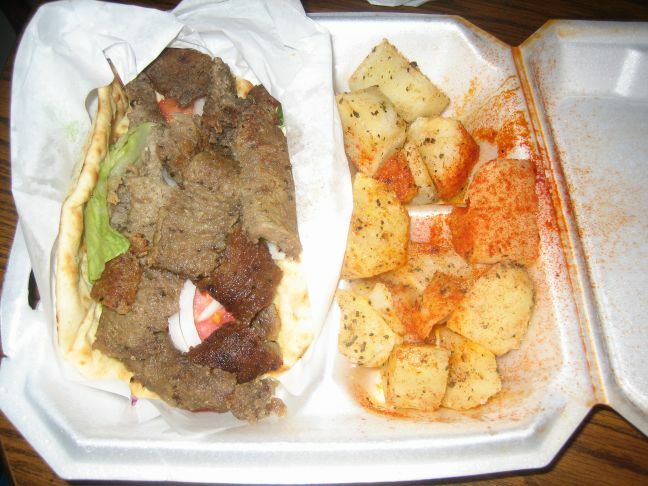 The white is a traditional tzatziki, while the red is a rich meaty gravy (pictured above). Bonus points for me include the pita bread enjoying a little time on the flat top adding. little extra crisp and flavor. Lastly, the meat at Yanni’s is always juicy without exception. Yanni’s has a drive thru. Next on my list this local operation with two locations, one on 21st South (Z Best Greek) and one in Murray. Portions are always generous but the gyros only come with white sauce, no red sauce here sadly. Both locations have a drive-thru. 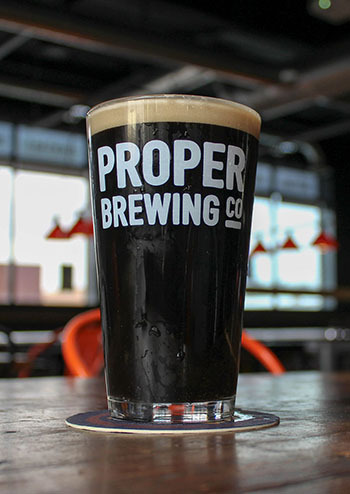 Another popular chain with many location across the Wasatch Front again. red sauce is available here, but it isn’t quite my favorite. I’m not aware of any of the locations that operate a drive thru which knocks just a few points off of convenience for me. Apollo gets huge bonus points for being one of the very few places to grab a gyro on a Sunday in Salt Lake City; coupled with the drive thru at most locations and you have a recipe for success. 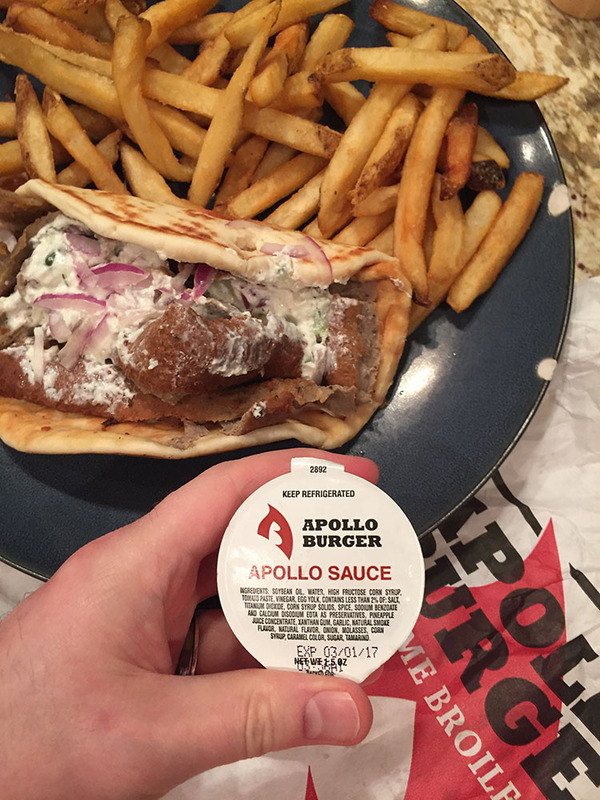 The gyro itself is a fairly routine offering, only white sauce is available; though as you can see above, a little Apollo Sauce (fry sauce to you and me) can help make things a little more interesting. I’ve found Best Chicken hit and miss over the years. Sometime the meat can be a little overcooked and tough. The rice side you can order though is far superior to any of the others on this list in my opinion though. Curiously the Best Chicken gyro adds lettuce which can get a little limp in the final product. There’s no red sauce at Best Chicken and no drive thru. 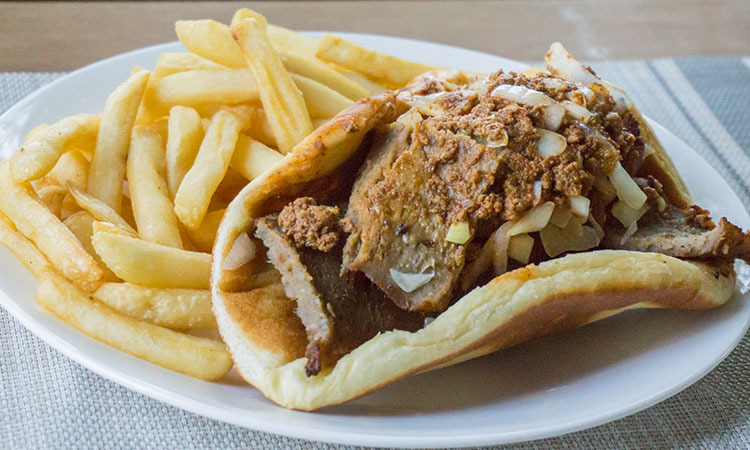 Not quite a gyro and honestly, not quite a doner kebab – it’s somewhere in the middle; let’s call it a Mediterranean flavor inspired gyro. 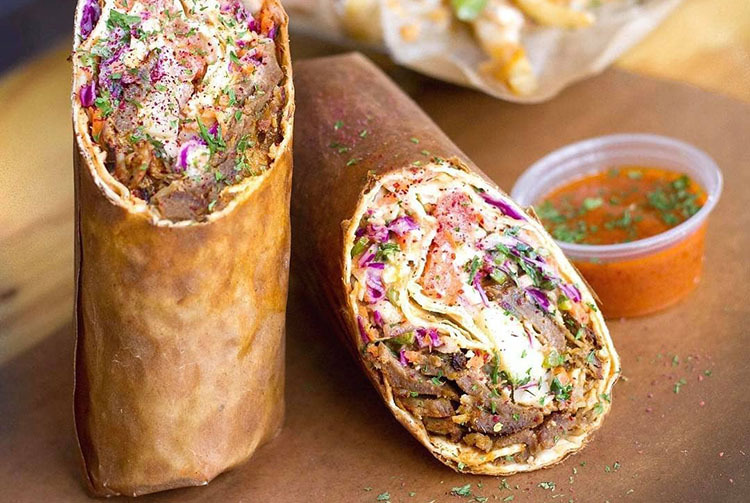 The meat component to this wrap is a little stingy compared to others on this list, but the addition of lost of bright and vibrant toppings makes it an interesting change of pace if your tapped out on regular gyros. Very popular, no drive thus.